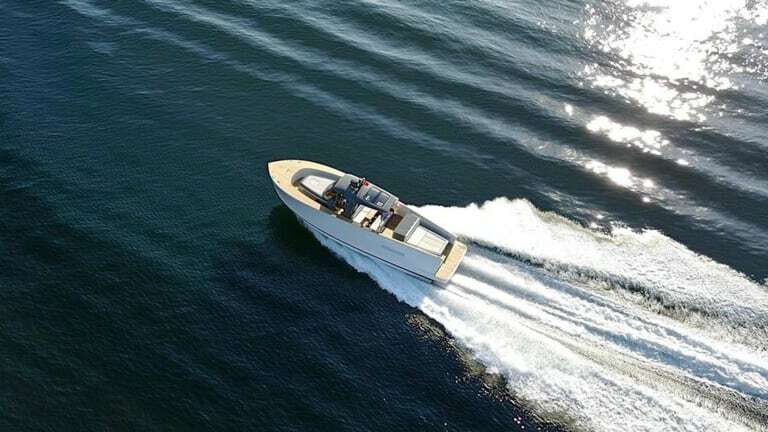 At first glance, the Alen 45 is sleek, simple, and attractive. 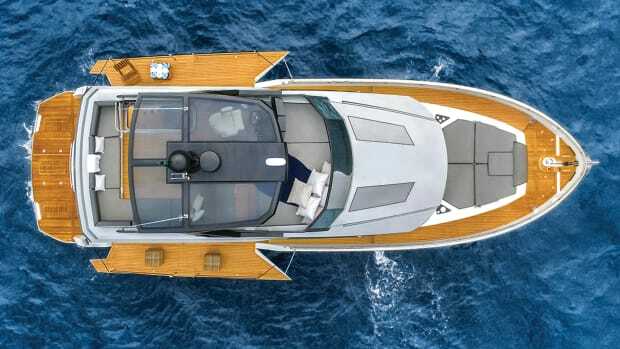 Alen Yachts is far from a household name in America, but this new dayboat suggests it is a company that deserves increased attention. 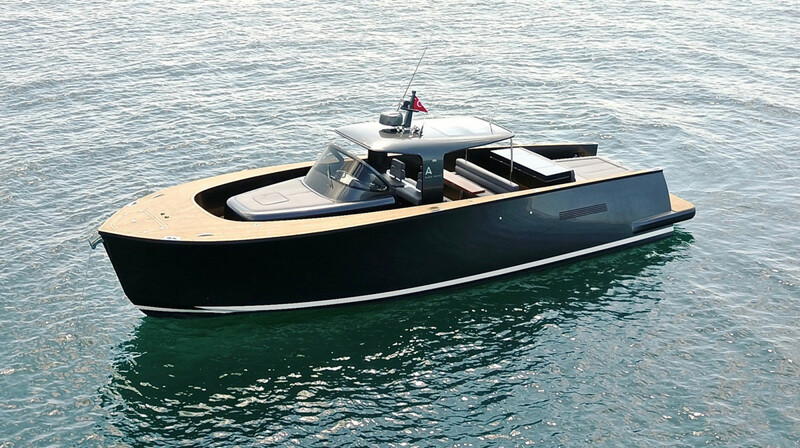 The Turkish builder is based in Istanbul with a selling and serving base in St. Tropez, France, and it is expanding its presence across the globe and into the American market. 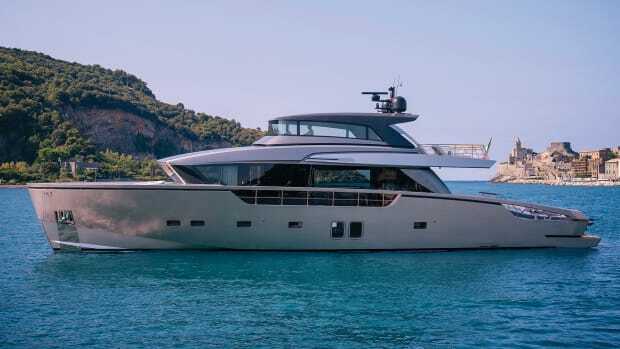 The Alen 45 features a walkaround deck that maximizes the use of exterior space; it’s for the boater who would rather experience the sea than feel confined. 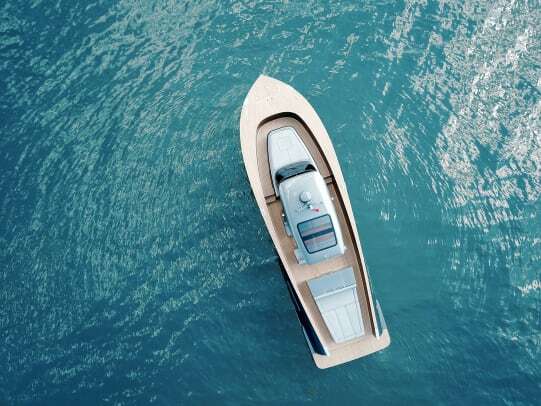 High bulwarks will keep passengers secure and protected from spray, and the V-shaped hull is designed to ensure steady cruising in all conditions. 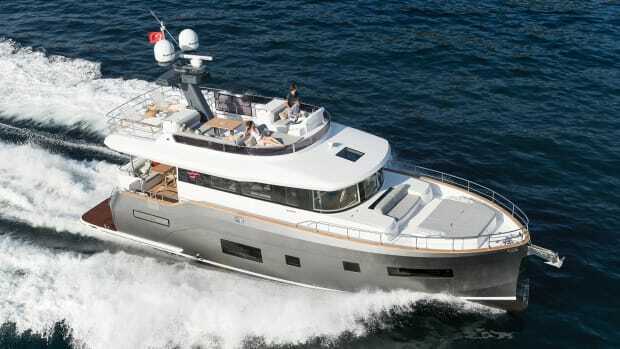 Twelve guests can fit comfortably on board and will be well accommodated by the al fresco dining area and wet bar. There is ample space on the front and aft sunpads. The 45 doesn’t pretend to be anything other than a dayboat. Cabin space is tight, but the head, fridge, and double berth allow for a comfortable overnight in a pinch. The 45 successfully demonstrates that luxury can be delivered simply. 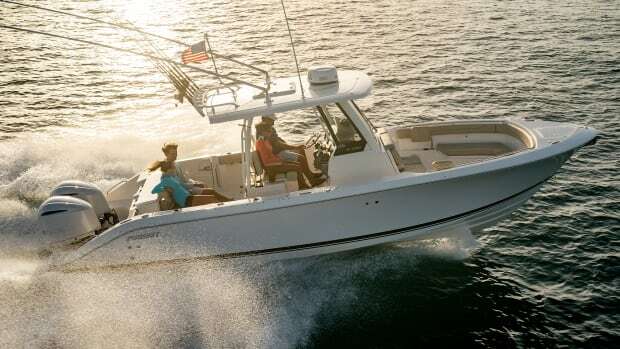 The company has built 55 boats in its 10 years of operation. Ozcan tells us that they do not produce a great quantity of boats every year by choice, because they don’t want to sacrifice quality. And quality is certainly emphasized. Everything except the glass is done in-house. The company chooses and cuts its own teak, and the stainless steel is completely custom. “It really is a handmade product in terms of all the woodwork and even the polyester,” Ozcan says. “We control the entire process. 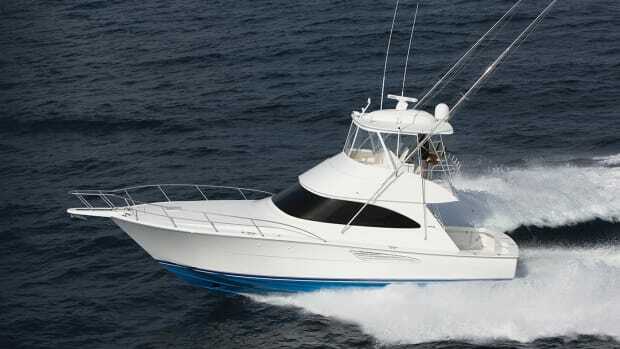 From the start to delivery we are on top of it.” Because so much attention is put into each boat, clients are able to customize some of the features on board. 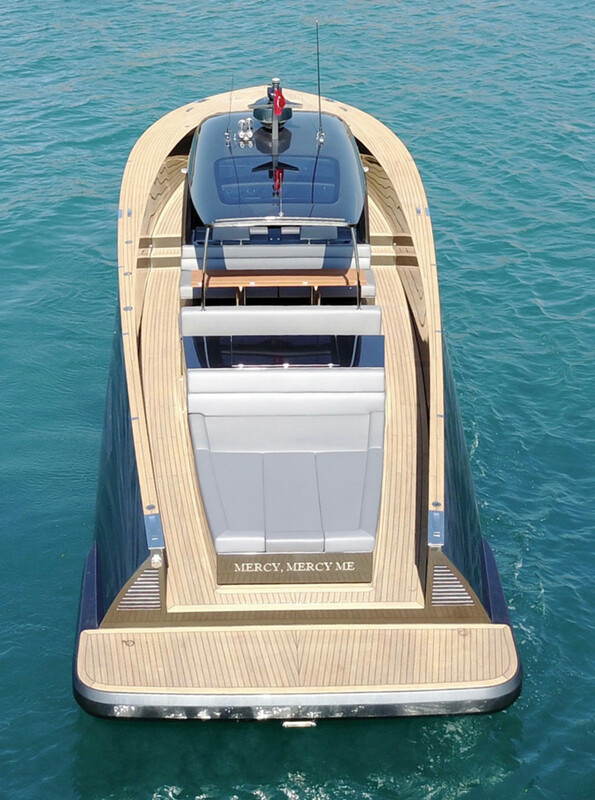 On the 45, owners can choose their preferred layout, veneer, and upholstery. The locker under the stern sunpad can store two Seabobs and a launching crane or a built-in fish box. 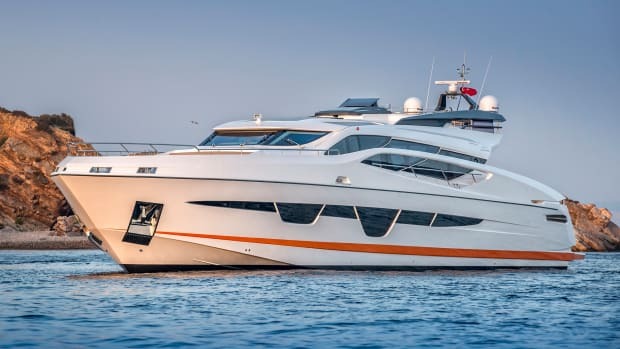 Some clients are looking for chase boats for their larger yachts, some clients want one big lounge instead of a cabin, and some clients just want to be able to store and launch toys. Ozcan is amazed with the yacht’s performance so far. The 45 features unique innovations that provide for a quiet and comfortable ride. 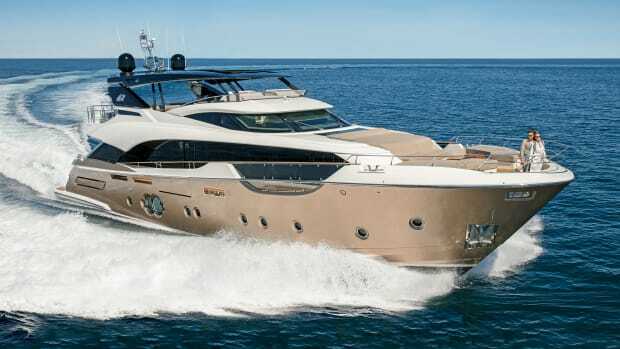 “The 45 is extremely silent for an open day boat and a motor boat,” he says. “I felt we were hearing more the sound of the waves and the sea than the engine.” He attributes this to a few features. 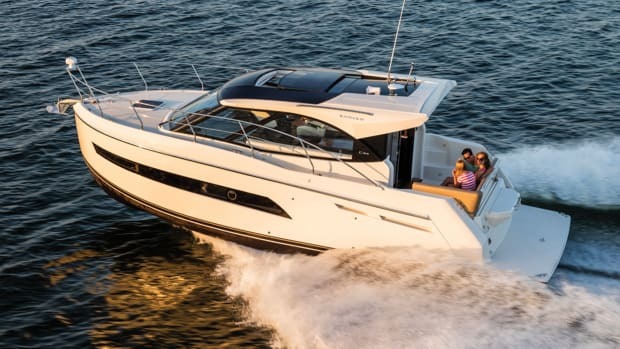 The boat is powered by two 435-horsepower Volvo Penta IPS 600 drives, which, he says, have less vibration than a conventional shaft system. Two layers of installation in the engine room, nearly half-inch-thick teak rather than the more standard quarter-inch, and a strong sandwich hull with IREX foam further contribute to sound control. According to Ozcan, the boat has performed at a top speed of 41 knots.